LaoZhang Beef Noodle Soup is an old time favorite noodle shop in Taipei, it's located near YongKang street which is famous for its collection of ramen restaurants. 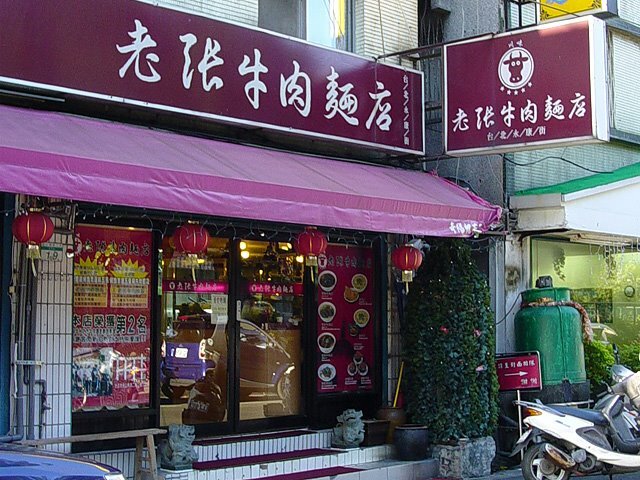 LaoZhang recently won 2nd place at the Taipei beef noodle festival and has attracted numerous celebreties to dine here including recently Jackie Chan. During my visit I ordered the 辣味肉筋麵 (spicy beef and tendon noodles). The Soup - is a dark brown soup flavored with numerous Chinese spices. Besides the flavor of the beef broth there is a stronger presence of seasonings such as star anise, cloves, cassia cinnamon and ginger root. There is a generous amount of red chile oil on top of the soup but it isn't too spicy, just enough to waken your taste buds. I was hoping that there would be more beef flavor in the soup, though the complex mix of flavors and aromas from all the spices was very addicting as I completely finished the ramen. 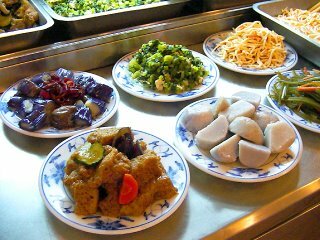 The Noodles - are medium thin straight noodles cooked to regular firmness. The Toppings - are pieces of cooked beef, beef tendon, and slices of green onion. The beef is tender but the tendon practically melts in your mouth. To my surprise there were no free 酸菜 (pickled mustard greens) on the table, which usually come standard with beef noodle soup. Overall - LaoZhang is a very delicious Taiwanese style ramen that I highly recommend. 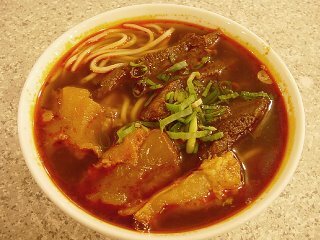 For those who have never had a Taiwanese style beef noodle soup before here's a warning, this ramen is overloaded with spices and might be a bit overwhelming to those with little exposure to Chinese food. As an alternative there is another beef noodle place next door called YongKang beef noodle soup which is also delicious but uses less exotic spices.